UNITED NATIONS, Feb 21 2014 (IPS) - As the concept of South-South cooperation (SSC) continues to strengthen worldwide, some of the richest countries in the Arab world have been reaching out to the poor and the needy in the developing world. The assistance has come mostly in the form of soft loans, investments, debt-relief, infrastructure building, technical cooperation and experimentation in new technologies and products. At least three funding mechanisms – the Saudi Fund for Development, the Kuwait Fund for Arab Economic Development and the Abu Dhabi Fund for Development – currently finance projects or contribute to debt relief in scores of developing countries, mostly in Africa. In its latest report on South-South Cooperation, the United Nations singles out the 44-billion-dollar Islamic Development Bank, established by the Organisation of Islamic Cooperation (OIC) in Jeddah, Saudi Arabia, whose portfolio of loans and investments has been spread over many Islamic countries in Africa and Asia. At the same time, the nine-billion-dollar Arab Fund for Economic and Social Development has been providing soft loans to governments and to public and private corporations. The dramatic increase in SSC was highlighted at the first-ever Arab States Regional South-South Development Expo in the Qatari capital of Doha, which also showcased some of the success stories and shared experiences of more than 500 delegates from 45 countries. Hosted by Qatar, the Expo was co-organised by the U.N. Office for South-South Cooperation and the U.N. Development Programme’s (UNDP) Regional Bureau for Arab States. Yiping Zhou, director of the New York-based U.N. Office for South-South Cooperation, told IPS the Expo in Qatar, which concluded Thursday, was a direct response to the requests of member states and institutional partners to bring practical Southern solutions closer to regional contexts. “With a focus on the exchange of knowledge and experience, stakeholders came together at this Expo to deepen the impact of South-South development cooperation through concrete scaling up and replication efforts,” he added. Overall, more Arab financial resources have been allocated to poor countries, with 40 percent of total Arab financial assistance to recipients of World Bank’s International Development Assistance programme, according to a report released by the Cairo-based UNDP Regional Bureau for Arab States. Additionally, some 20 percent of total Arab lending has been directed to countries eligible for heavily indebted poor countries (HIPC), including Afghanistan, Ghana, Cameroon, Mali and Senegal. When the United Nations held a pledging conference for humanitarian aid to Syria last month, the Kuwaiti government made a hefty contribution of 500 million dollars – far ahead of the 380 million dollars pledged by the United States. Saudi Arabia and Qatar were also key contributors, with 60 million dollars each. “No one nation and no one community has all the answers,” said Mourad Wahba, deputy regional director of the UNDP’s Regional Bureau for Arab States. “This is why the [Doha] Expo is so important, as a showcase for joint creativity in our region,” he added. The Expo also presented “a strong incentive for all Arab countries to learn from those successful experiences in order to achieve tangible development results across the region,” he noted. The U.N. system is already incorporating South-South approaches into national and regional development planning and programming, specifically in Egypt, Jordan and Tunisia. The United Nations has also assisted Saudi Arabia to become one of only five countries worldwide to have a specific country-level outcome related to SSC in its medium-term plan between the government and the world body. According to the UNDP’s Regional Bureau for Arab States, more than half of the nearly 800 loans and 230 technical assistance grants by the Kuwait Fund for Arab Economic Development have been distributed across 16 Arab states. In 2010-2011, the Kuwait Fund for Arab Economic Development signed loan agreements with seven Arab countries, primarily in the energy sector. Also in 2011, the Saudi Fund for Development financed power plants in Egypt and Syria, along with dams in Sudan, while the Abu Dhabi Fund for Development provided Bahrain with a loan to build government and administrative buildings. Kuwait is also cooperating with the Gulf Organisation for Research and Development, based in Qatar, to promote knowledge transfer on sustainable buildings and promote overall sustainable development. Similarly, according to the report, the UAE has been particularly active in the field of renewable and alternative energy and clean technology. 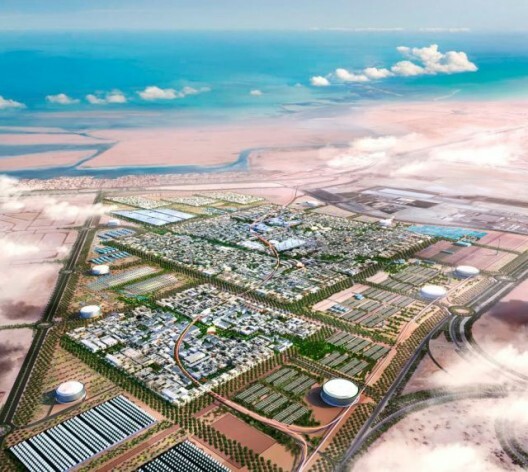 Masdar, a subsidiary of the Mubadala Development Company in Abu Dhabi, continues to host the annual World Future Energy Summit, which has provided an important platform for knowledge-sharing among numerous Southern countries. The UAE has also recently re-established the South-South platform for the High-level Conference on Science and Technology, an important forum for South-South knowledge exchange. Under the Egyptian Fund for Technical Cooperation with Africa, Egypt has provided more than 250 short- and long-term experts to some 30 African countries for training and facilitation of knowledge-sharing in a variety of sectors, including water resources, health, agriculture and education, according to the report. Egypt, which has trained more than 1,200 scholars from Kazakhstan through training courses, has also launched the Centre for South-South Industrial Cooperation for transferring technology and promoting innovation-based industrial development among African states. Led by King Mohammed VI, Morocco has encouraged the deployment of graduates of Moroccan engineering schools to assist in development projects in rural electrification or water management, particularly in Africa. Meanwhile, the Dubai-based Mohammed bin Rashid Al Maktoum Foundation, the largest in the Arab region with a 10-billion-dollar endowment, has been described as a major philanthropic organisation in the Arab world, while Dubai Cares, which supports primary education in developing countries, is armed with an endowment of over one billion dollars.